If you’re looking for a roofing material that you will never need to think about replacing once it’s installed, you might consider going for a slate roof. Not only will it last for up to 100 years, a slate roof is also resistant to weathering from natural elements. 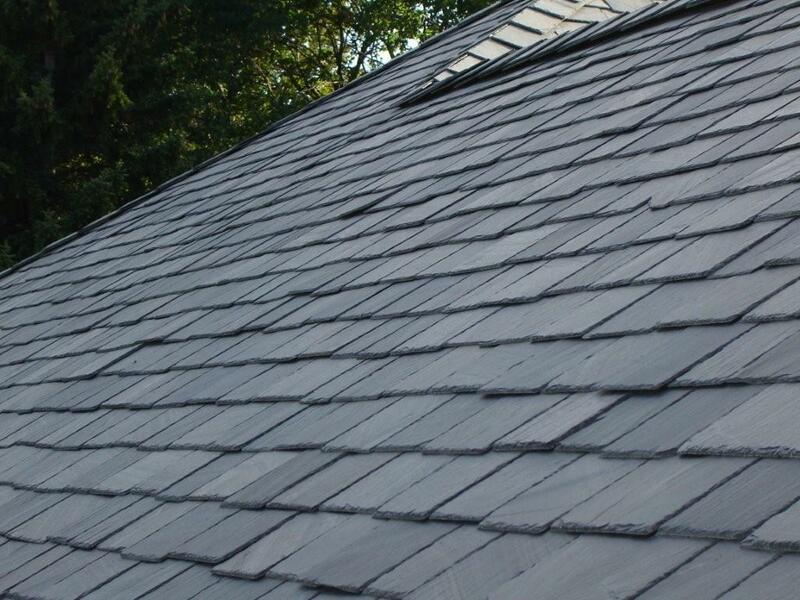 To top it all off, slate is known for its organic beauty, and will automatically increase your home’s value. Slate is definitely an expensive roofing choice, so it should pay off in curb appeal and longevity. This is the kind of roofing material that makes a statement on its own, so you won’t need solar panels on it as a status symbol. In fact, if you wish to make use of solar power from your slate roof, there’s actually a solar thermal system that’s been designed not to cover up the obviously beautiful roof, as is typically the case with solar panels. Another downside to having a slate roof is that it’s probably not a good option if you don’t also have tight security in your home, or you live in an area where thieves can gain access to your roof. As the following story about a UK school reveals, thieves may consider your roof their opportunity to clinch thousands of dollars overnight – literally. The headteacher of a Kirklees school has slammed thieves after they stole six tonnes of Yorkshire stone slates overnight forcing it to close today. Janet Thompson, of Hanging Heaton CE Junior & Infant school, High Street, Dewsbury, said the “sickening theft” has meant some 140 children had been deprived of a day’s education and inconvenienced many families. If you would like professional roofing advice or roof repair services in Dunn Loring VA, please contact us today.